Looking for a new way to lose weight? Consider the carb cycling diet! It’s one of the most popular diets for a reason. You still get to eat your favourite good-for-you carbs, but cycle with low-carb days so you lose weight too! It’s the best of both worlds! If you’re looking into the carb cycling diet, here are 30 days of recipes for beginners. What is the Carb Cycling Diet? The carb cycling diet varies your carb intake, allowing you to lose weight without giving up your favourite carb-rich foods. You vary your carb consumption between high and low intakes on a daily, weekly, or monthly basis. For example, you would eat a low-carb diet on Mondays, Wednesdays and Fridays and a high-carb diet on Tuesdays and Thursdays. Or, you can cycle three low carb days followed by 2 high carb days. Low carb days help with fat loss, while high carb days help muscle growth and performance. How and Why Does Carb Cycling Work? Carb cycling works because cycling low carb and high carb days offers your body different benefits. High carb days stimulate an insulin response that helps your muscles grow. High carb days also replenish your glycerin stores that fuel your muscles and make you feel energized! Low carb days trick your body into burning fat for fuel (instead of sugar from carbs), promoting fat loss. As you can see, the cycling increases your muscle and decreases your fat, making weight loss quick and sustainable. 30. Baked Eggs in Ham Cups | Oh Snap! Let’s Eat! 10. Slow Cooker Lemon Chicken | Skinny Ms. 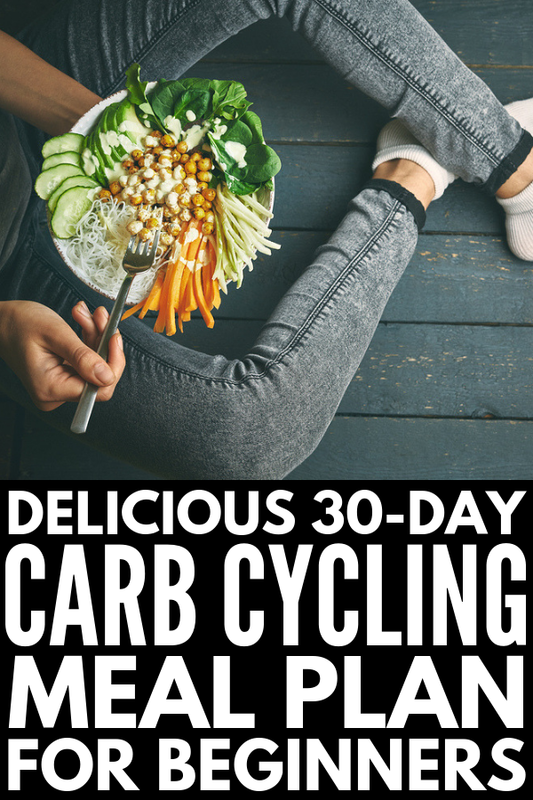 If you’re just getting started with carb cycling, here are 30 days of recipes to get you on the right track! 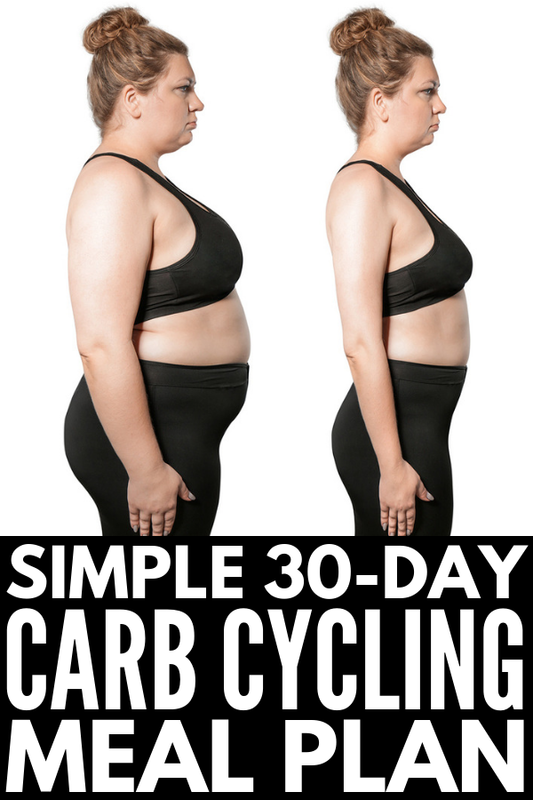 Did you love this post on the carb cycling diet? We’d love if you shared it on Pinterest! And if you want more diet tips and tricks, make sure to follow our Health Board on Pinterest!